Long ago, Audi was dominating Rallycross events in a Sport Quattro S1. It helped to brand Quattro as one of the best all-wheel drive systems in the world. Several years later, the A8 garnered popularity with its starring role in The Transporter, while the TT earned the attention of passersby who gave themselves whiplash as they took in the unusual design for the time. Since then, the RS4 and R8 eared themselves a spot on many dream lists across the world and more pedestrian Audis like the A4 were eating into BMW’s sales. The aforementioned are all cars. 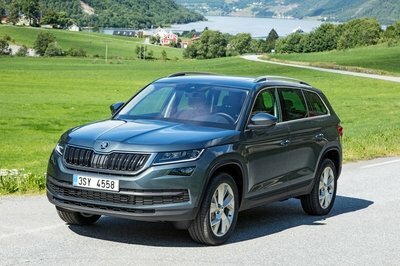 Today, things are a bit different over at Audi as it seems the priority is to invest more and more into SUVs. In North America, there are already three in the lineup. 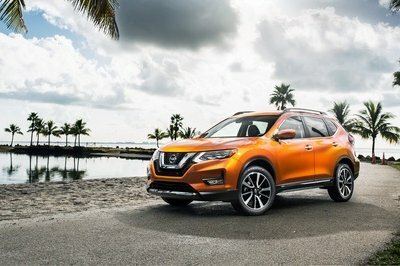 A fourth, the Q2, is on sale overseas and is expected to eventually arrive on our shores. Then there’s the Q8 which is expected to be even bigger than the Q7 along with a four-door coupe-like SUV a la BMW X6 that is also expected to join the family. Why are Audi’s SUV’s now overshadowing the cars in its lineup? I decided to take one out for a week to find out. The Q3 is the smallest offering on our shores and, currently, it’s the most dated. This is evidenced by its exterior design, which admittedly did receive a face lift last year, but overall the design looks as old as it is. 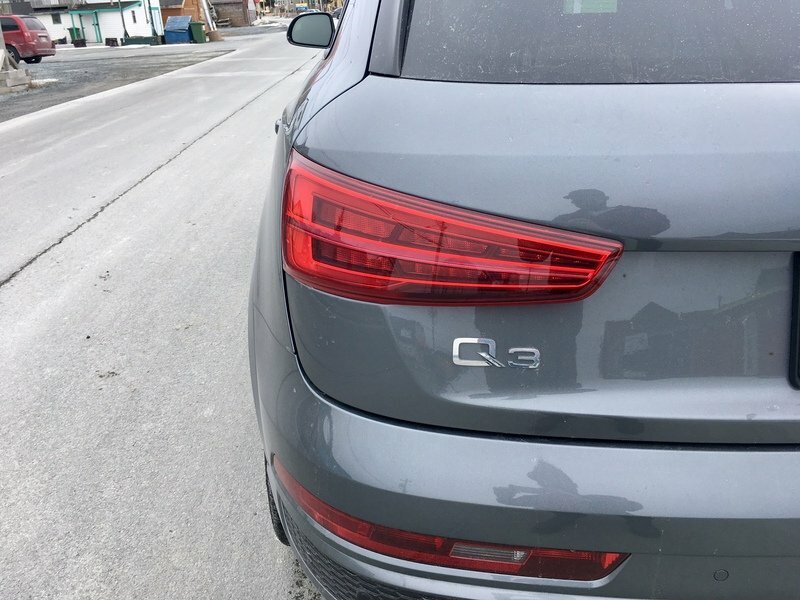 That isn’t to say that the Q3 doesn’t have handsome angles here and there, but in my mind, the overall shape is a bit too egg-like, especially from the side profile. To keep things fresh, my tester was fitted with exclusive Daytona Grey paint, 20-inch wheels which incorporate Audi’s latest wheel design, and the black optics package which gives it a black grille and black roof rails. LED headlights and sequential LED turn signals in the rear help to keep it trendy. Unfortunately, once you step inside, you’re greeted with a cabin that feels dated. Sure, everything is up to snuff when it comes to quality of materials, but the long center stack with the infotainment screen crowning the top certainly is nowhere near Audi interiors of today. 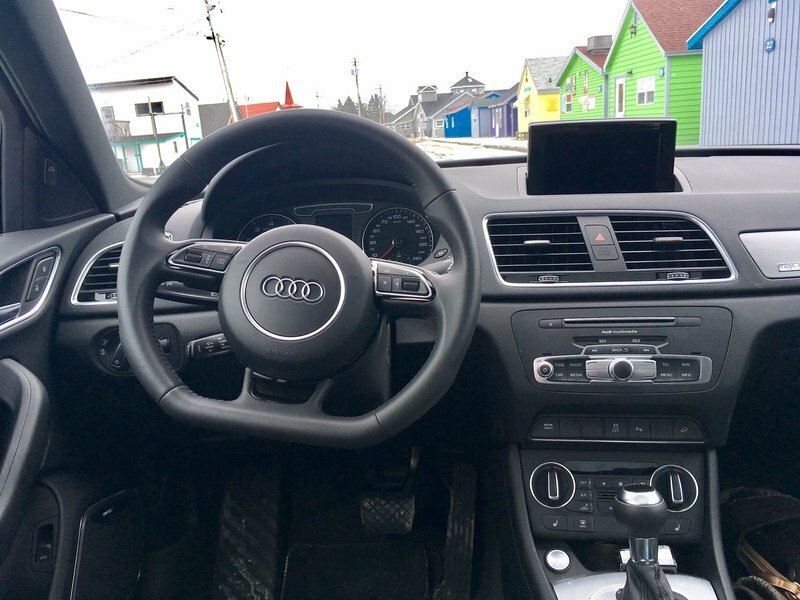 By now, you’ve likely heard of Audi’s virtual cockpit which essentially puts all the controls you need directly in behind the wheel where typical gauges are and you can re-work the large screen to suit your preferences. There’s no such thing available in the Q3. The controls to operate the infotainment screen are up on the center stack as opposed to between the seats like in more modern Audis. The knobs for the climate controls look lifted from an econobox on top of it all. With all that said, everything responds to command when you want it to, and everything is fairly easy to use. 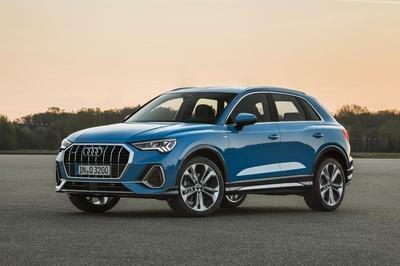 Until the Q2 arrives, the Q3 has the distinction of being the smallest SUV Audi offers in our market and it shows. The Q5, which is the next step up size wise, is 10 inches longer with an extra nine inches of wheel base. The Q3 is three inches narrower. 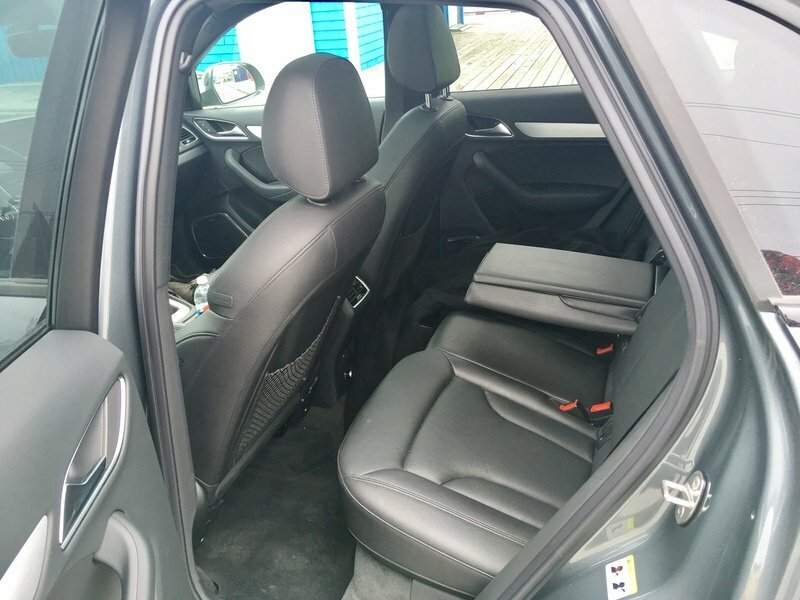 This translates into a cramped feeling interior, though not one that is so bad that you couldn’t get used to it. As my girlfriend pointed out, having the rear seats so close to within an arm’s reach would actually be a good thing for new parents tending to junior’s spit ups, for example. Head room is good across the board, though cargo room is very obviously lacking. Picking up my aunt from the airport, who came with a large suitcase, a small carry on and a back pack, we were only able to fit the large case in the trunk. We had to lower one of the seats to accommodate her smaller suitcase and backpack. All in all, everyone and their belongings still fit, but we did need to perform some Tetris-like moves, and the same was true for when we used it to pick up some weights and exercise equipment. Seat comfort is quite good, though I wish the bottom cushion were longer and offered more thigh support. They do an excellent job of keeping your mass in place during more spirited driving. Speaking of which, don’t expect to slaughter too many from stop at a green light. 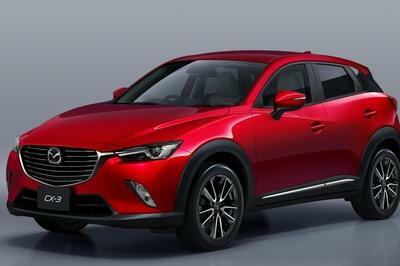 The only engine option available is a 2.0 turbocharged four-cylinder which is good for 200 horsepower and 207 pound-feet of torque. This power is married to a six-speed automatic, and no, it isn’t Volkswagen’s fantastic DSG that gets the honors of shifting gears. As far as automatics go, it’s still quite good, but you’ll be a bit disheartened to learn that competitors to the Q3 get more gears. The Mercedes-Benz GLA gets a seven-speed dual clutch, the BMW X1 gets an eight-speed, and the Range Rover Evoque will give you nine speeds. With that said, there is certainly enough power to propel yourself forward within about a 7.7-second 0-to-60 mph time. 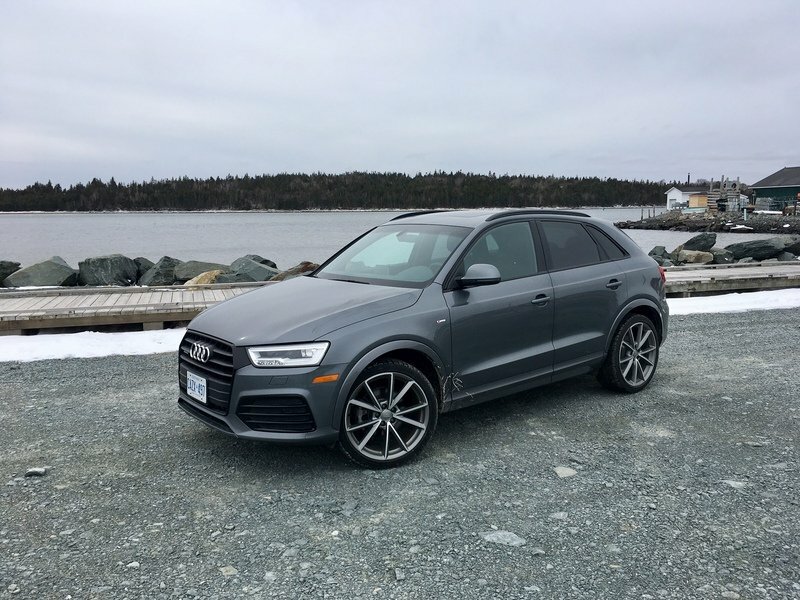 Now, when it comes to handling, the Q3 definitely does not disappoint. 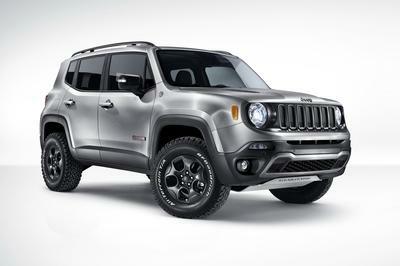 This is in part thanks to the optional 20-inch wheels. Carving a corner is done with the ease you might expect for a lower slung hatchback while steering feel remains weighted (though not overly so) and direct. Add in some very good brakes, and you’ve got yourself a vehicle that is worthy of wearing the Audi badge. Strangely enough, however, I’m not entirely sure the Q3 is worthy of the Quattro badge. During my time with it, we received a few classic Nor’ Easters which were only too happy to deliver several inches of snow and ice pellets. No matter, I was in a vehicle equipped with one of the best all-wheel drive systems in the world, so I set out during one of the storms to meet an old friend for coffee. During the 10 minute trek, the Q3 struggled badly to find traction and the rear end was extraordinarily squirrelly. While having the tail end break traction was initially a bit fun, the ability to pull it back into line was exceedingly difficult, to the point where I thought I was on the verge of losing control a few times – even with speed adjusted for the conditions. 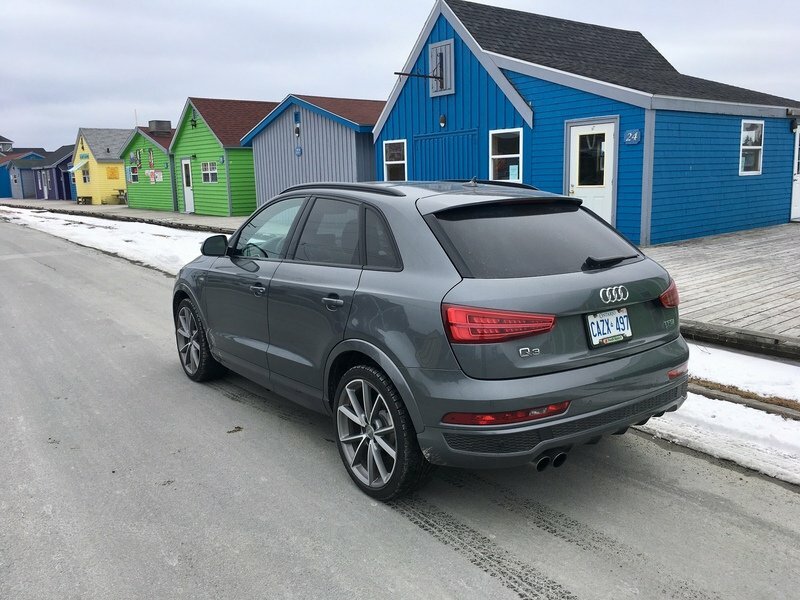 It was so bad that as soon as I parked, I got out expecting to find out that there was no snow tires fitted to my tester but to my shock, my Q3 was indeed fitted with proper winter tires. The only explanation I can come up with is the fact that the tires were low profile and super wide; both downsides to getting any form of traction in the snow. So if you live in a snowy area, you might want to get a separate set of wheels and tires for winter or forgo opting for the 20’s, as nice as they may be. In addition, the Q3 has a very short wheelbase with no 50/50 weight distribution. This likely is what made it so difficult to reign it in when it started to lose traction. 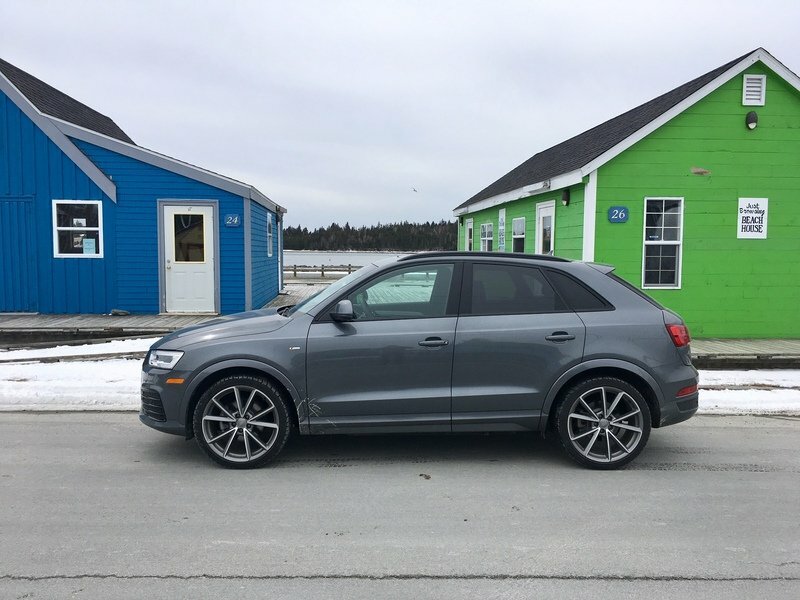 Though far from being a comfortable luxurious ride, the Q3 is still able to quite you over bumps and other imperfections in the road adequately and cabin noise is about where it should be at this price point. In a week worth of mostly city driving, I was able to return a respectable 22 mpg which is better than its official city rating of 19.6 mpg. Overall, I ended up liking the Q3 more than I thought I would. 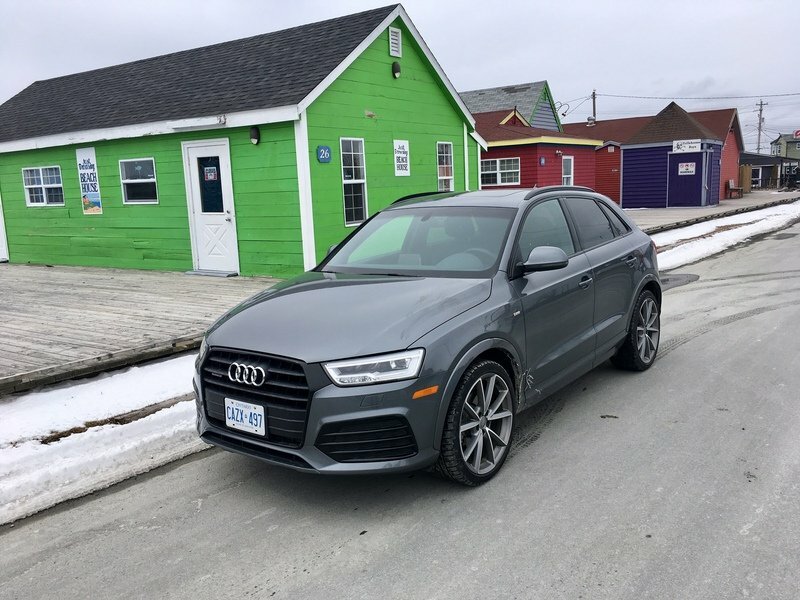 Despite its outdated interior and exterior, it still had many charming attributes that eventually won me over – though not enough to ever consider buying on. 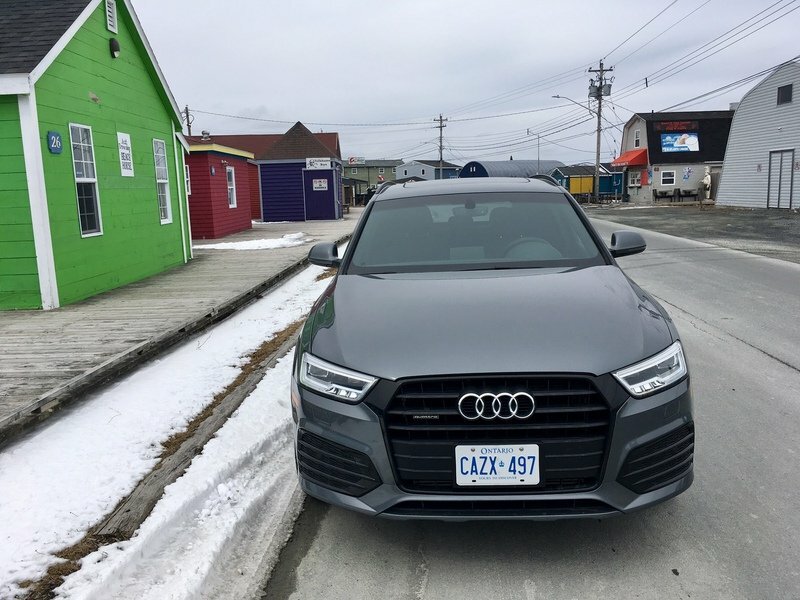 If I’m going to put down my hard-earned cash for a Quattro-equipped Audi, you better believe I would expect it to handle adverse weather a lot better. But, as evidenced in Audi’s new business plan, people like me and what I want in a vehicle are not the people they are trying to get. They are trying to get a piece of the pie from people who prefer status and high seating positions. And to while I’m more of an old-school Audi fan that loved the Transporter in part because of the A8, Audi certainly can’t be faulted for moving with the times. Welcome back, the resurgence of the SUV, I suppose.